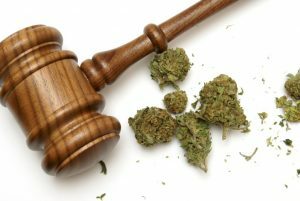 Further to the recent article, “Legal Pot and Employee-Employer Relationship” on October 17, 2018, non-medical cannabis became legal across Canada. However some of the laws and regulations surrounding legalization varies within each province. In Manitoba, you must be 19 or older to in order to use, purchase or possess cannabis. Purchases can only be made from a licensed retailer and, unlike some other provinces which have restrictions on home cultivation, growing cannabis within your home is strictly prohibited. Smoking or vaping cannabis is illegal in public places such as streets and sidewalks, parks and beaches (including provincial parks), school grounds, restaurant patios and decks, and the grounds of health care facilities. They are also illegal in enclosed public places such as any part of an office building, retail store or other commercial establishments, the common areas of residential buildings or shopping malls, restaurants, educational institutions or facilities, health care facilities, daycare centres or nurseries, and bus shelters. Some exceptions apply however to designated rooms in a hospital palliative care unit or an end-of-life hospice. The amount of cannabis that one person can purchase or carry is 30 grams. The Highway Traffic Act indicates that cannabis must be stored in the trunk, an exterior compartment on the vehicle or another space designed for the carriage of goods or baggage that is not readily accessible to any person in the motor vehicle. It’s important to keep in mind that, whether you are leaving or coming into Canada, it is illegal to take cannabis across the Canadian border. Cannabis should also be used, purchased and consumed within the province or territory that you are in. Operating a motor vehicle while impaired by a drug, including cannabis is illegal. Impaired drivers can be charged and face penalties under the Criminal Code as well as receive sanctions, such as driver license suspensions, under the Highway Traffic Act. For more information on cannabis laws within Manitoba, visit the Manitoba government webpage – Cannabis Manitoba.